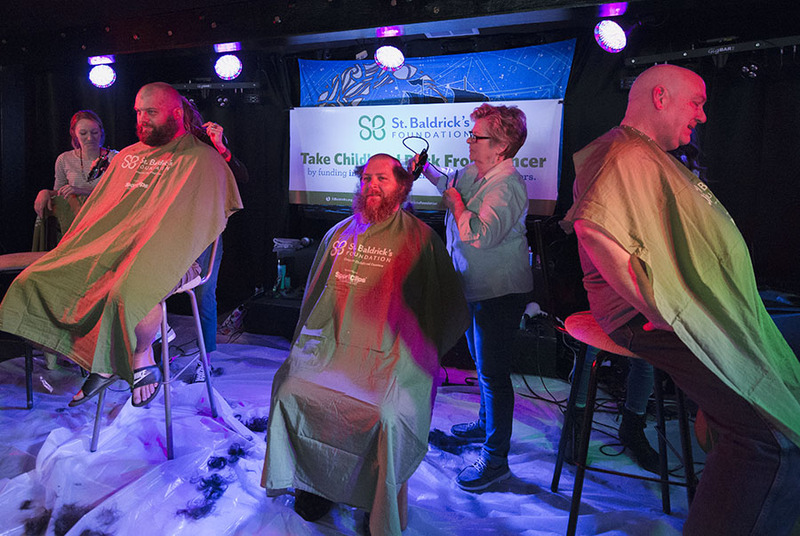 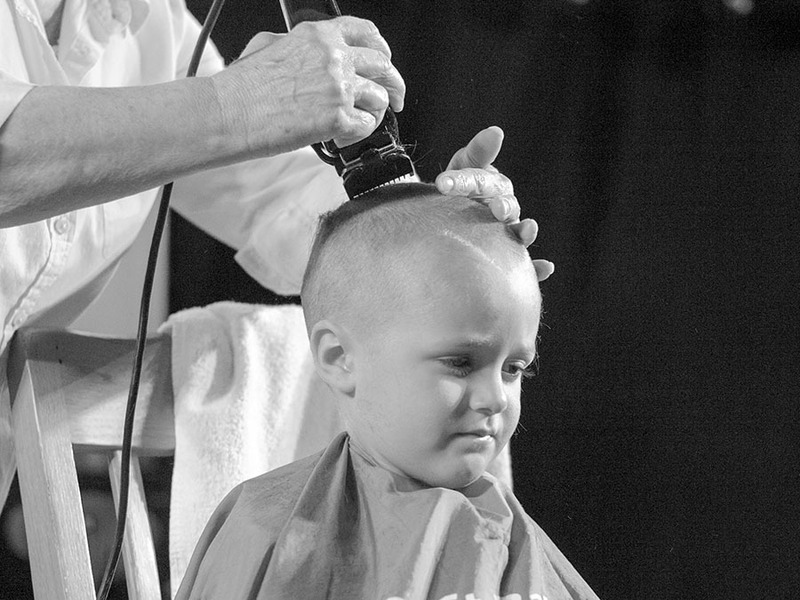 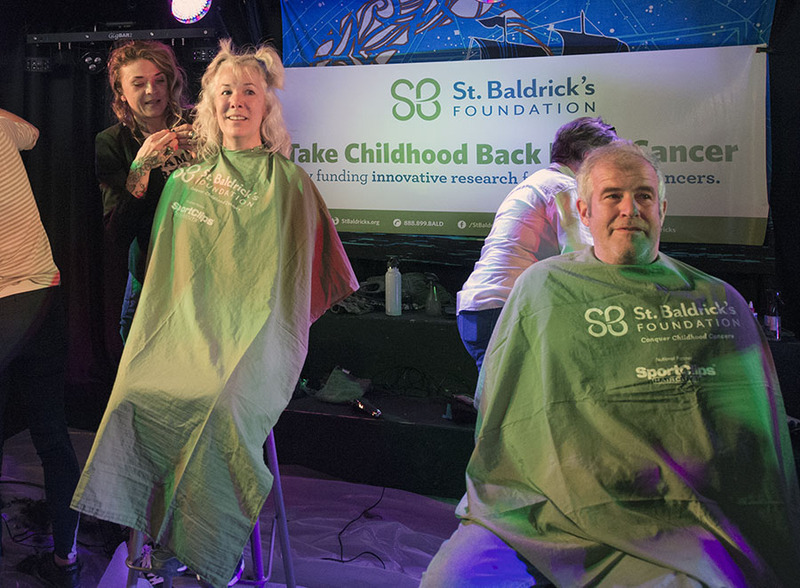 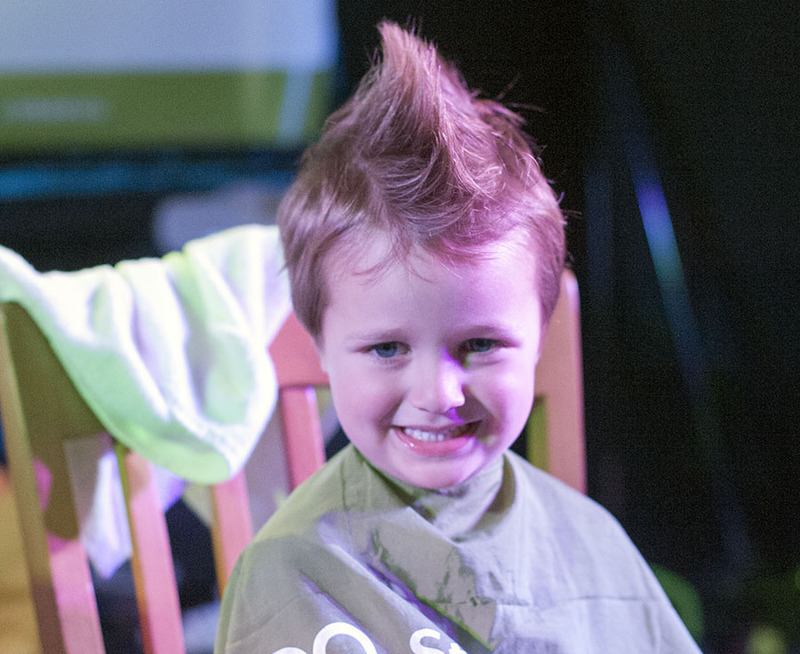 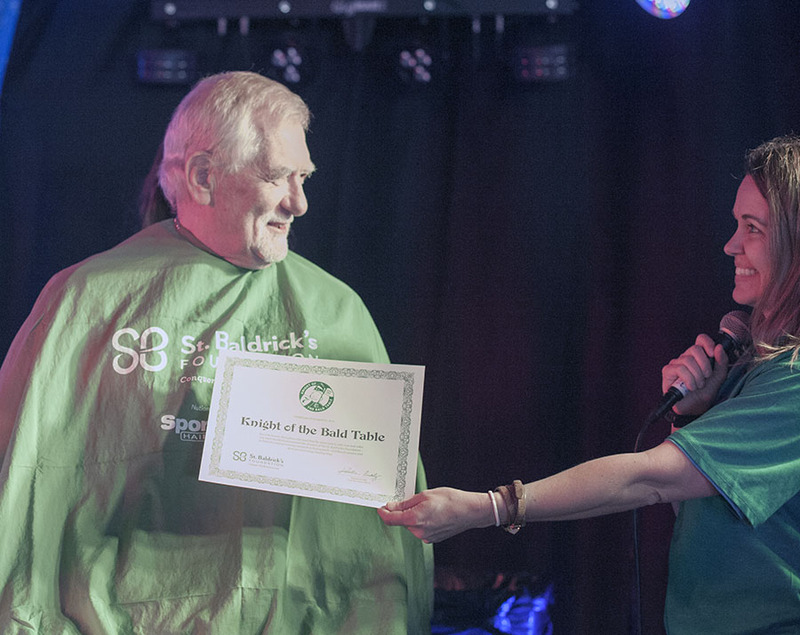 The annual St. Baldrick’s Day fundraiser and shave-a-thon was a banner event in its 13th year in Avon, raising $6,866 in donations for the St. Baldrick’s Foundation – a volunteer-driven charity that funds childhood cancer research grants. 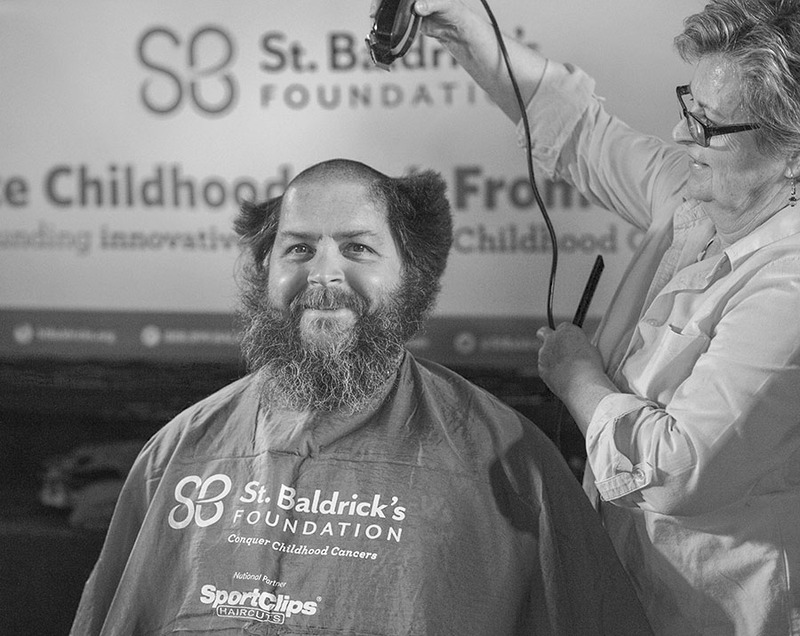 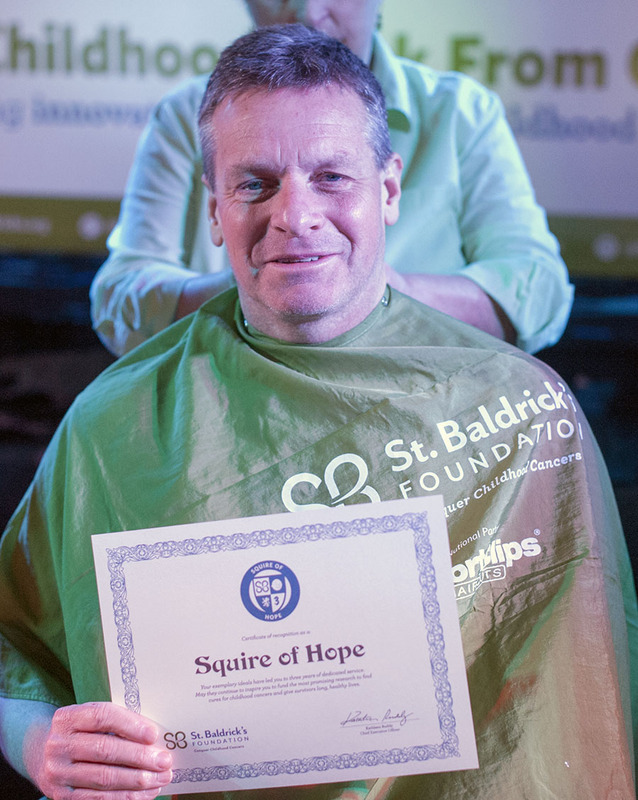 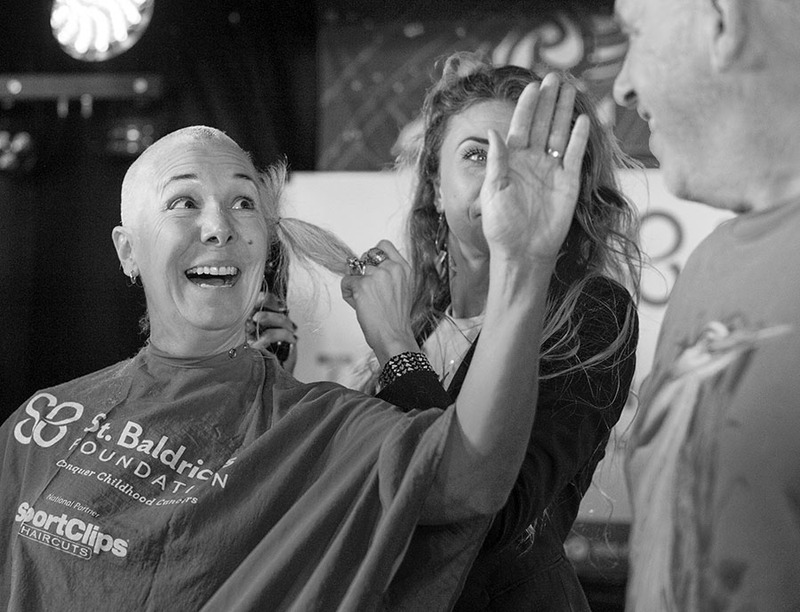 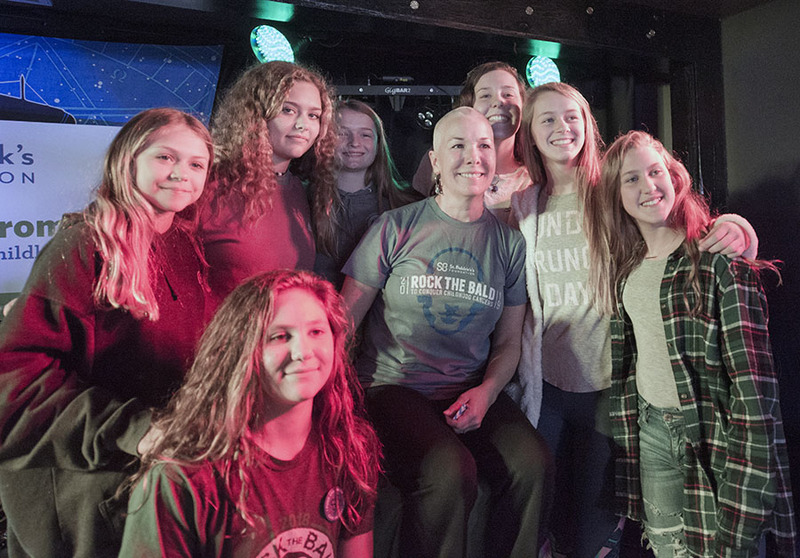 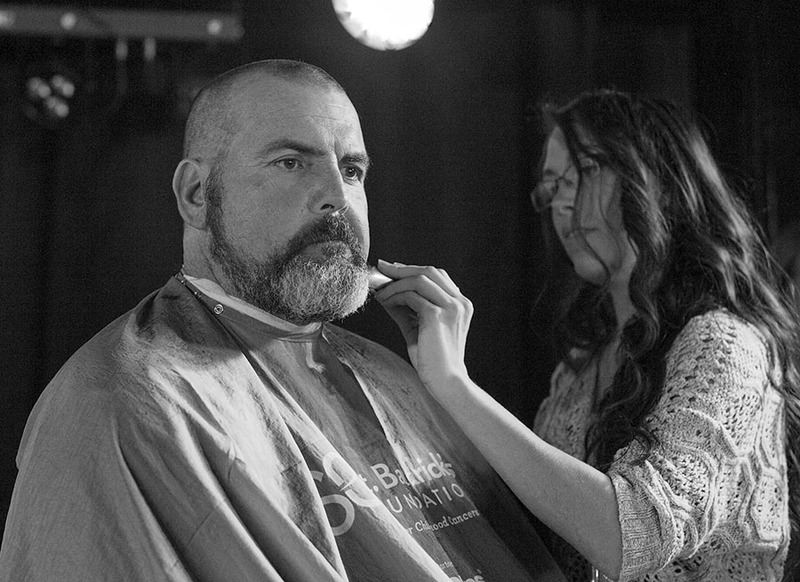 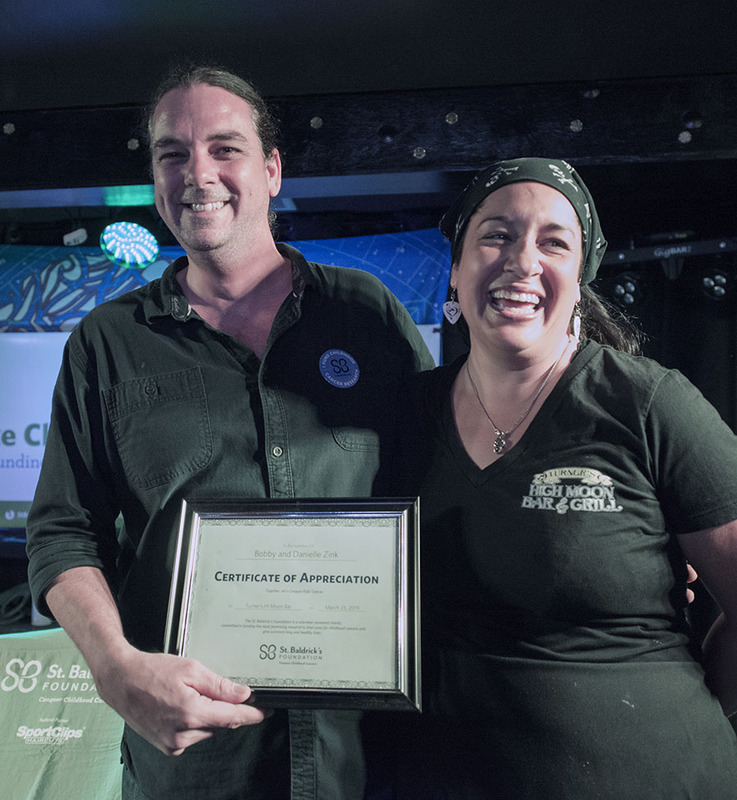 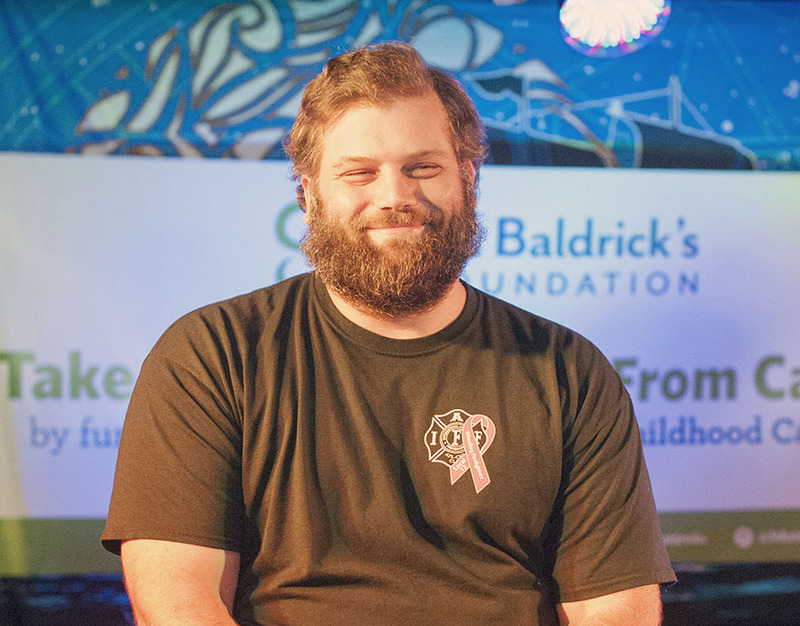 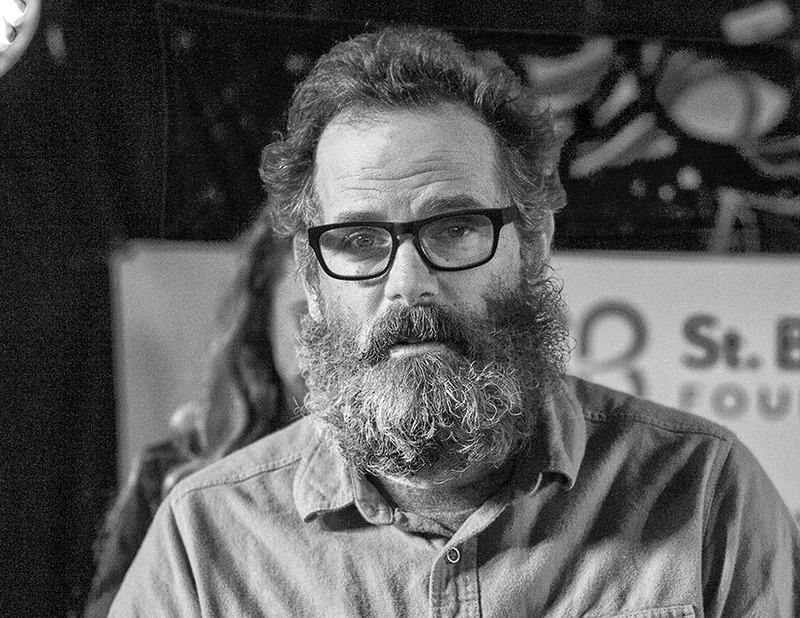 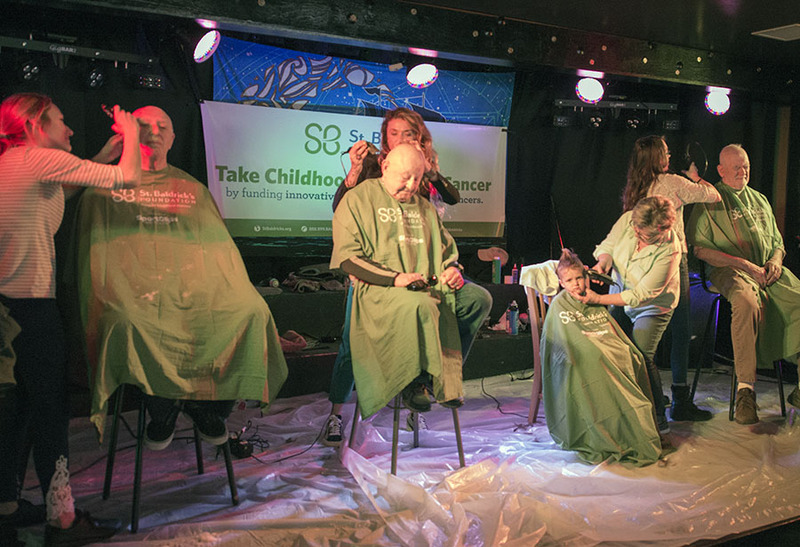 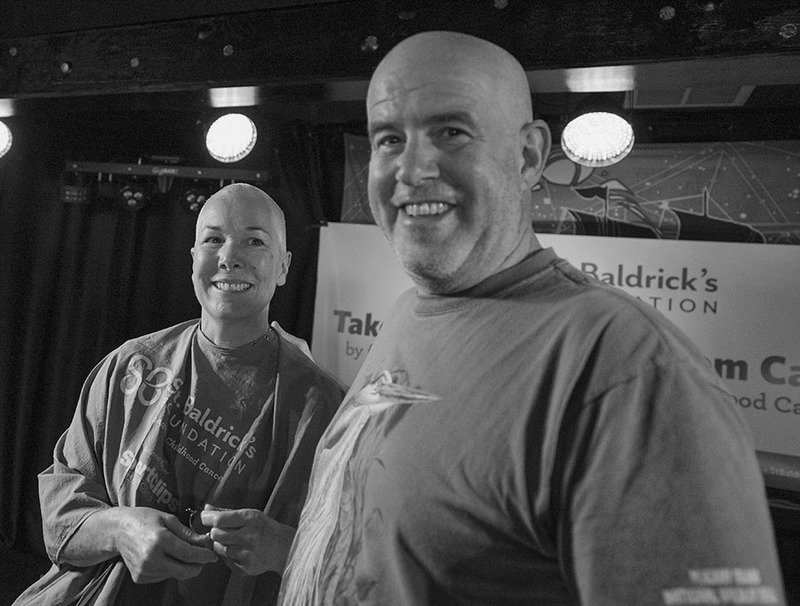 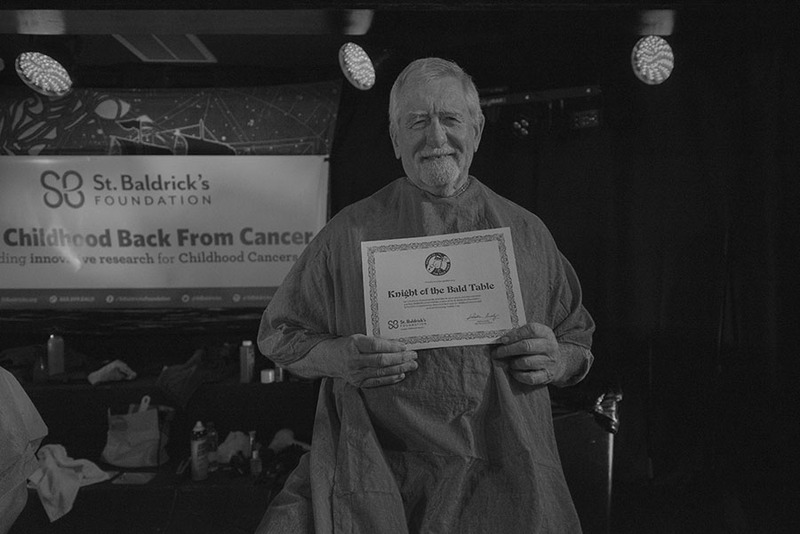 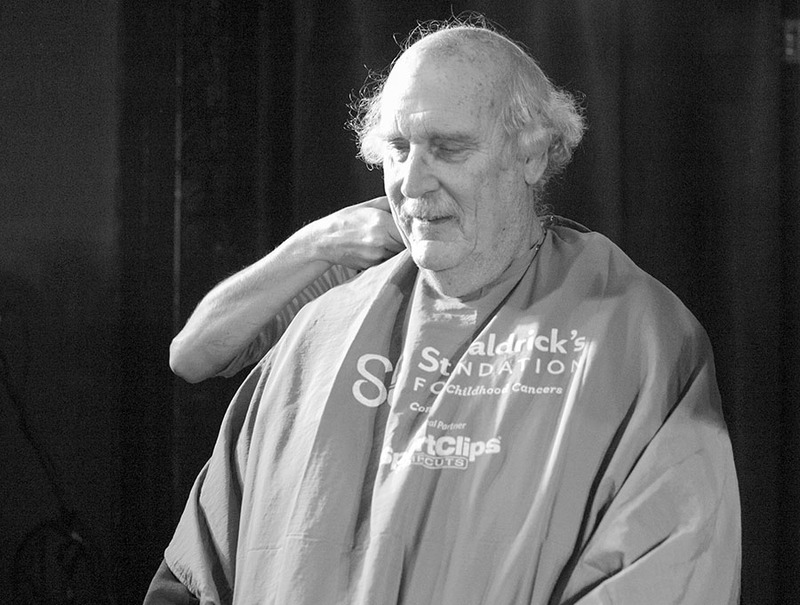 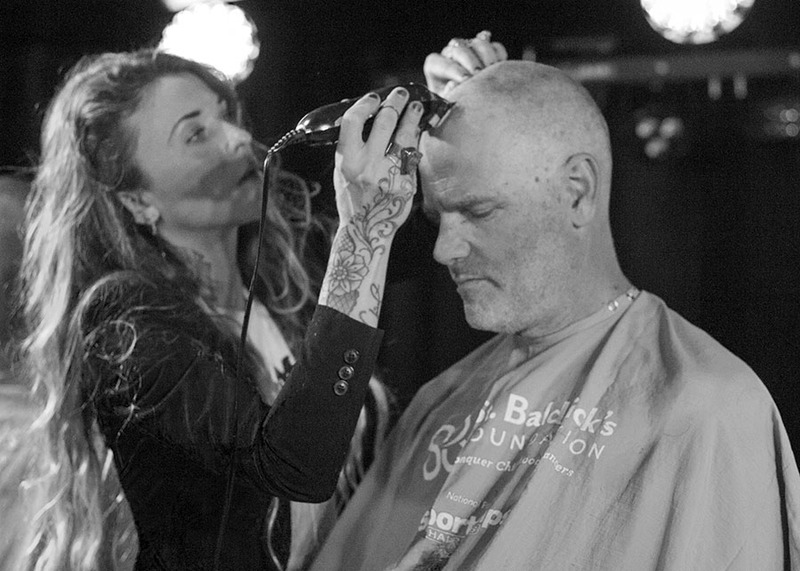 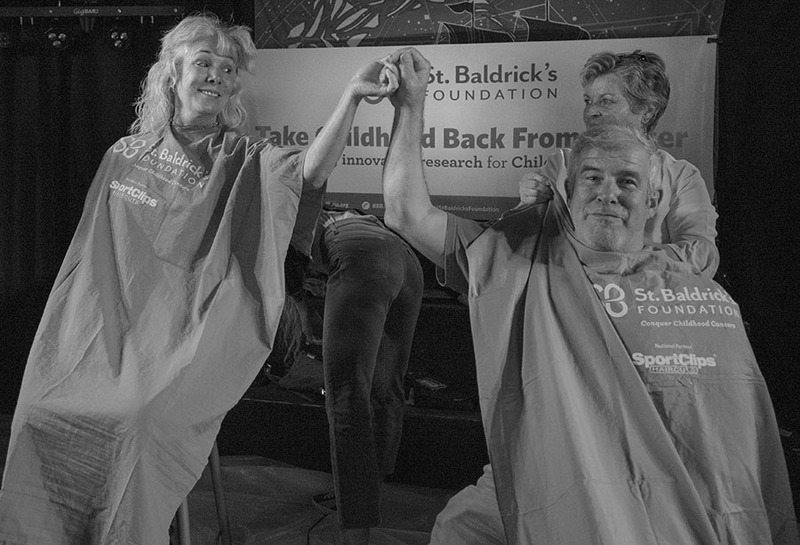 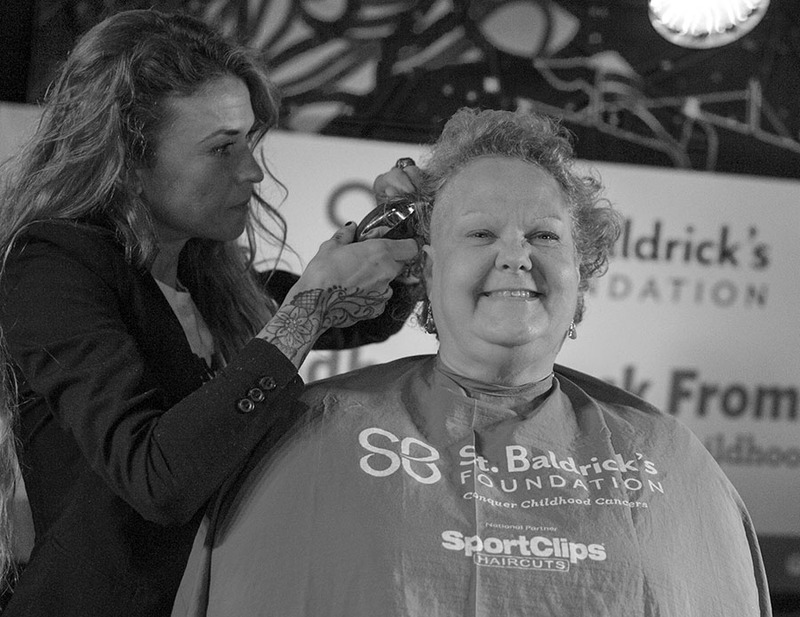 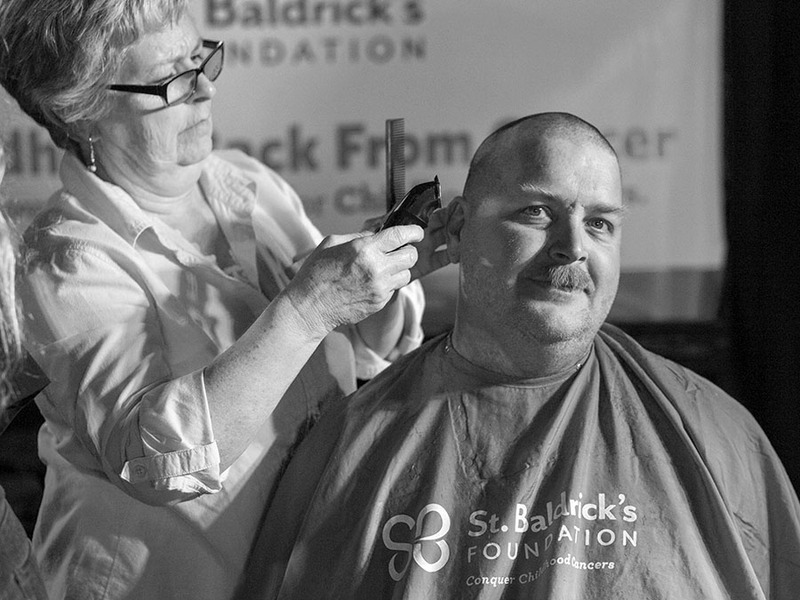 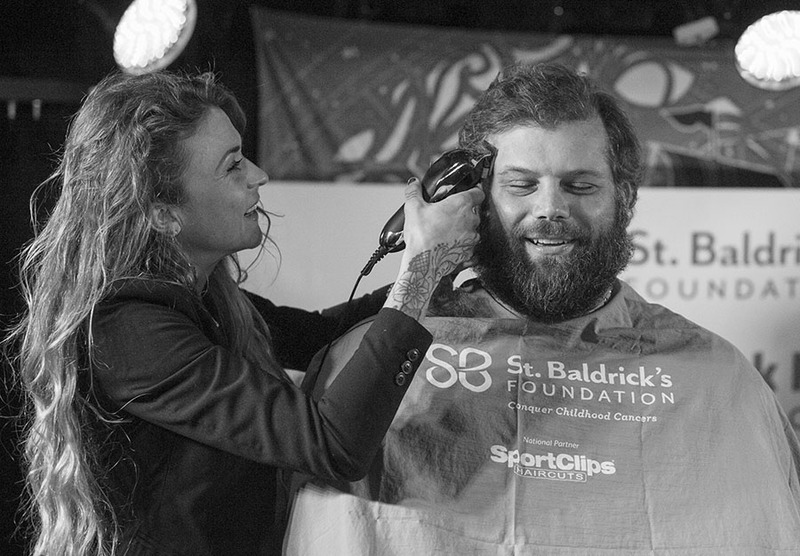 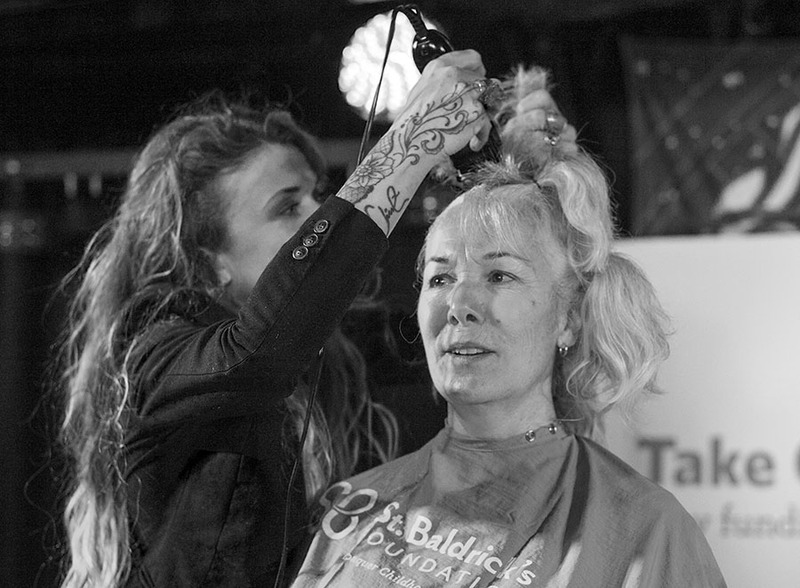 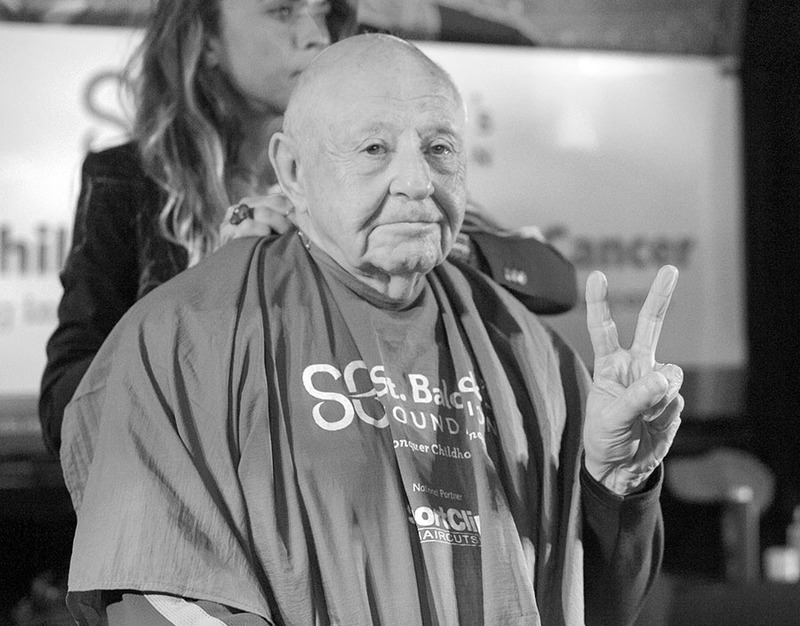 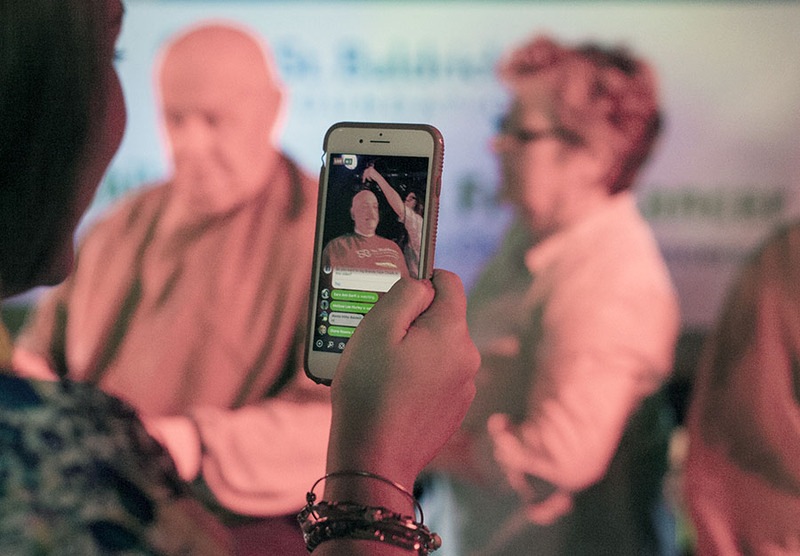 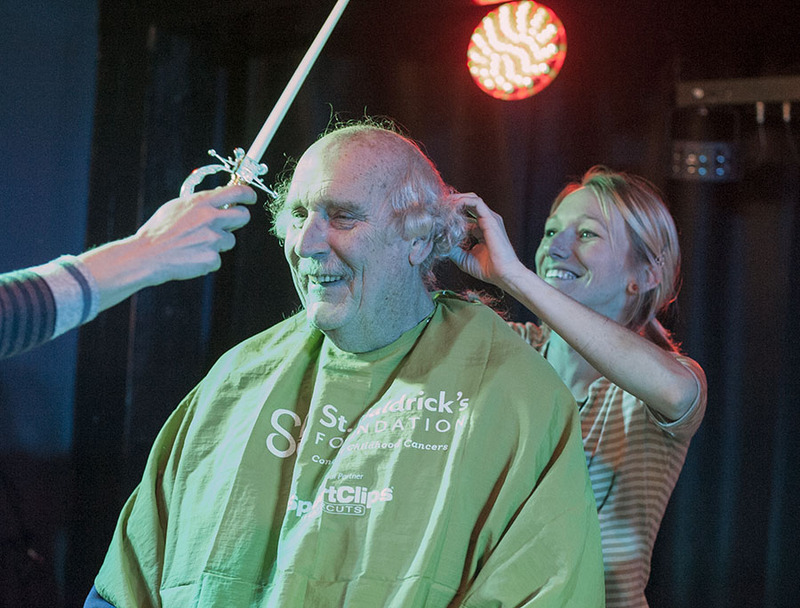 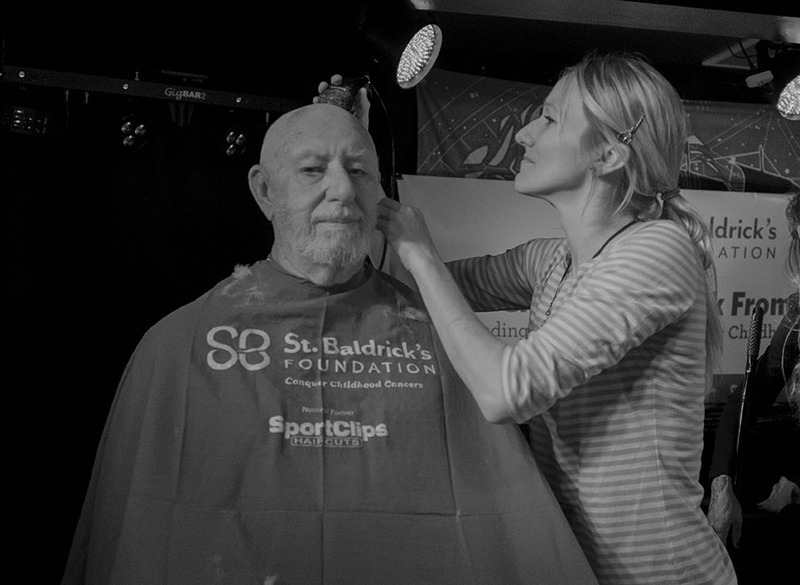 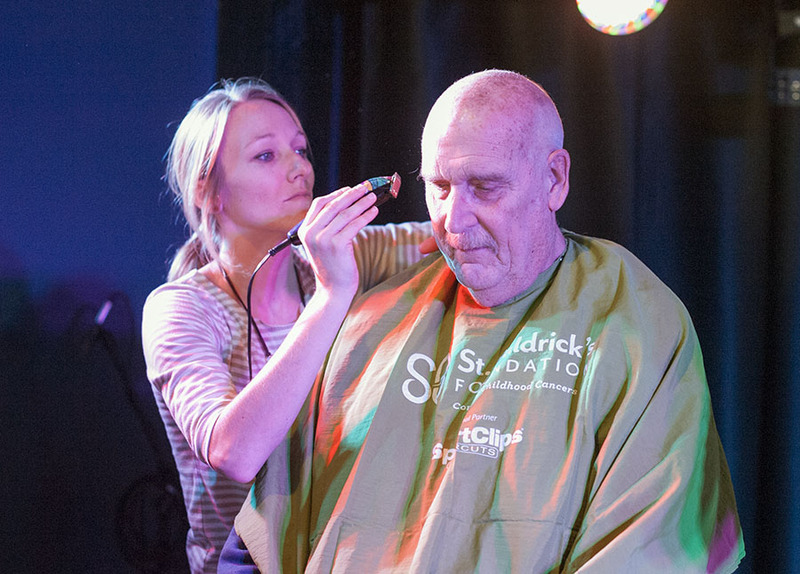 Held for the second year in a row at Turner’s High Moon Bar in Avon, this year’s Saturday afternoon shave-fest attracted waves of hairy attendees who bravely went under the razor to garner much-needed donations, and to make 2019’s St. Baldrick’s one of the most successful – and financially rewarding – in recent memory. 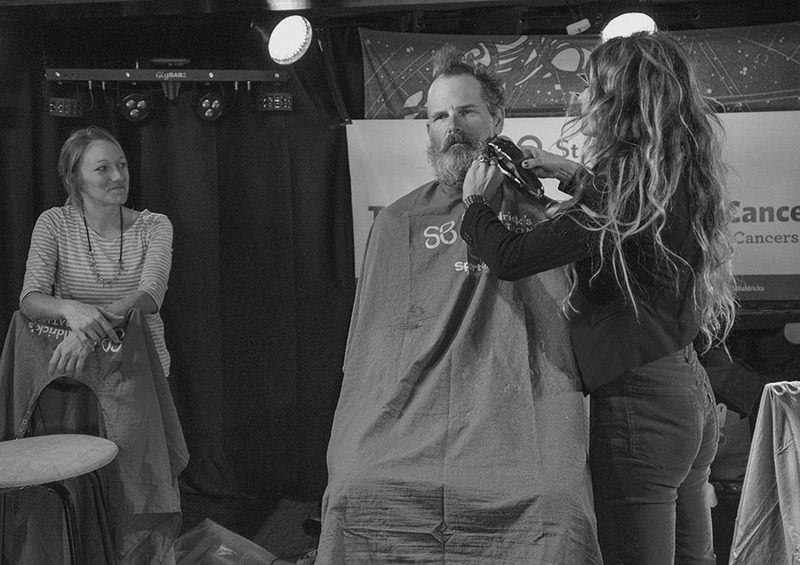 The Turner’s High Moon Bar locale ensured that shavees could enjoy a little liquid courage before heading to the colorful stage, where four volunteer barbers were waiting: Denise Gaskins of Hair by the Sea, Tabitha Rose of Zen Therapy, Chloe Sapecki, and Sarah Allander of Salon Jobell, who was marking her first year as a St. Baldrick’s Barber. 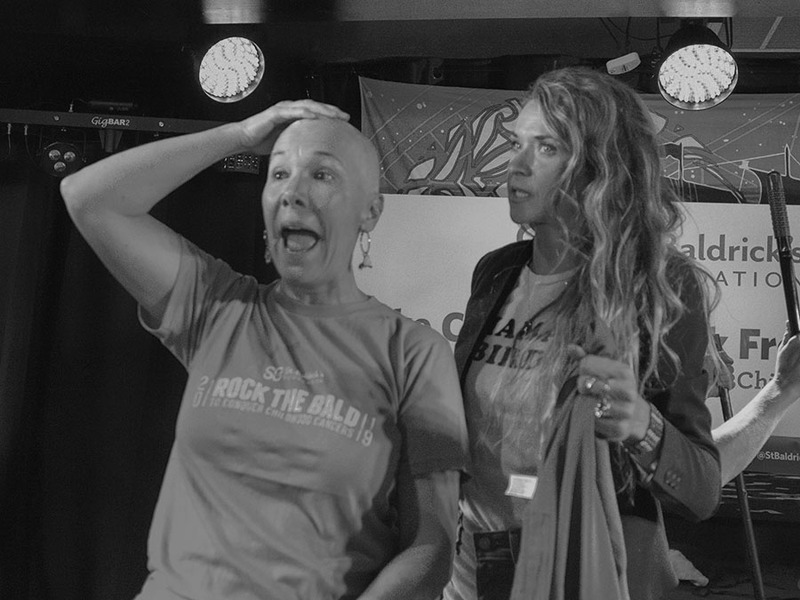 In another unique twist that hadn’t been seen in a few years, 2019’s 20 attendees included three women, who volunteered to shave their heads with a smile. 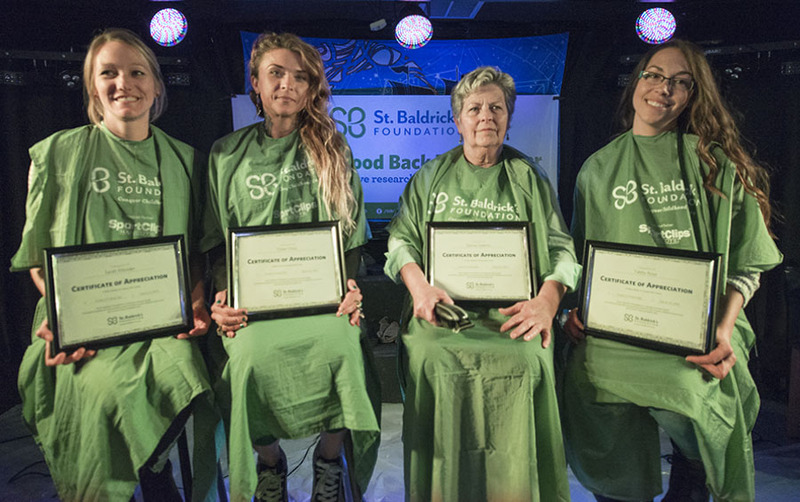 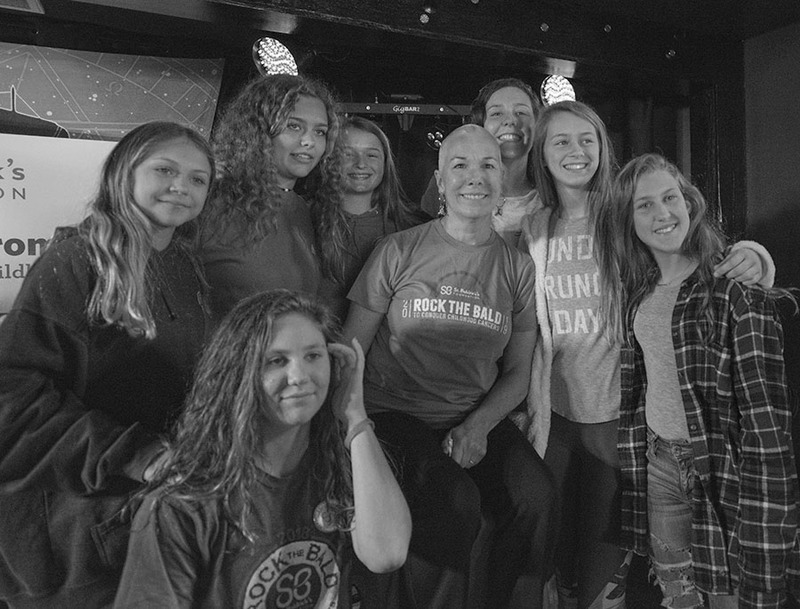 All three ladies generated more than $1,000 in donations through the event, making them the top fundraisers at St. Baldrick’s, as well as the bravest people in the green-infused room. 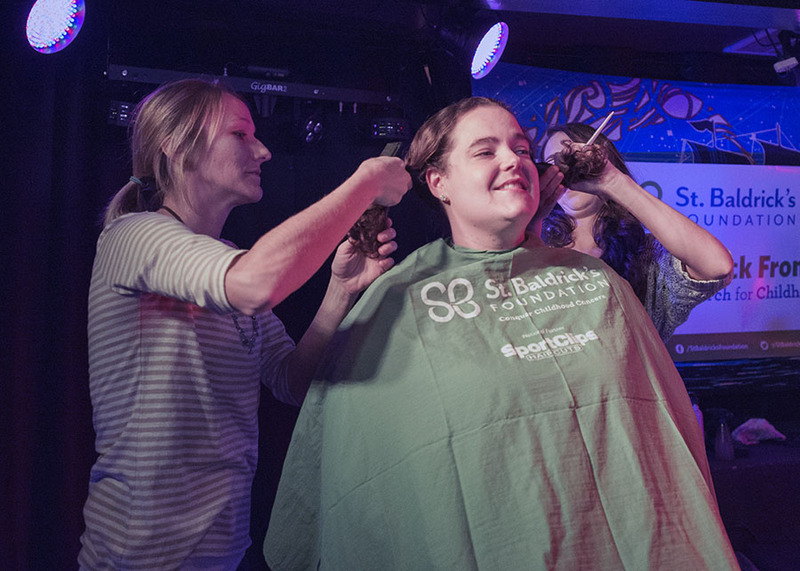 Christine Herrick Van Atta, a special education teacher at CHSS, had the support of her husband, her teacher colleagues, and the girls’ volleyball team she coaches at the high school before she took the plunge, although – somewhat surprisingly – she didn’t need too much convincing to participate as a shavee. 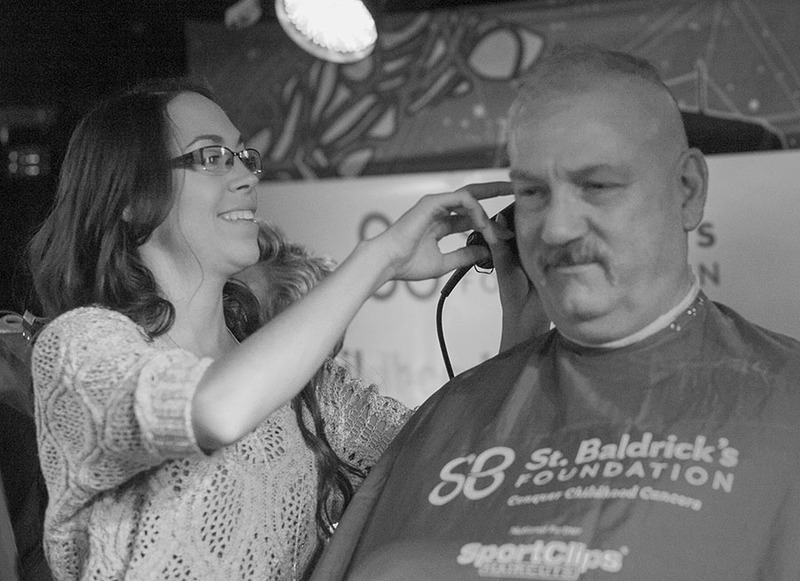 Christine’s goal was $1,000, but she ended up generating exactly $1,600 in funds, thanks to a last-minute $50 contribution from longtime participant Warren “Tater” Gaskins. 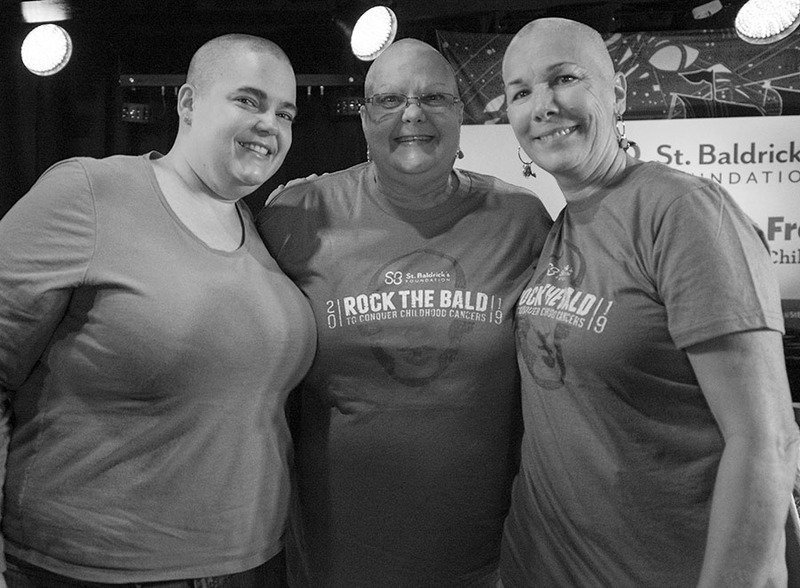 The other two courageous ladies were a mother and daughter team – Jenny and Elaine Hooper – who shaved their heads in tandem style. 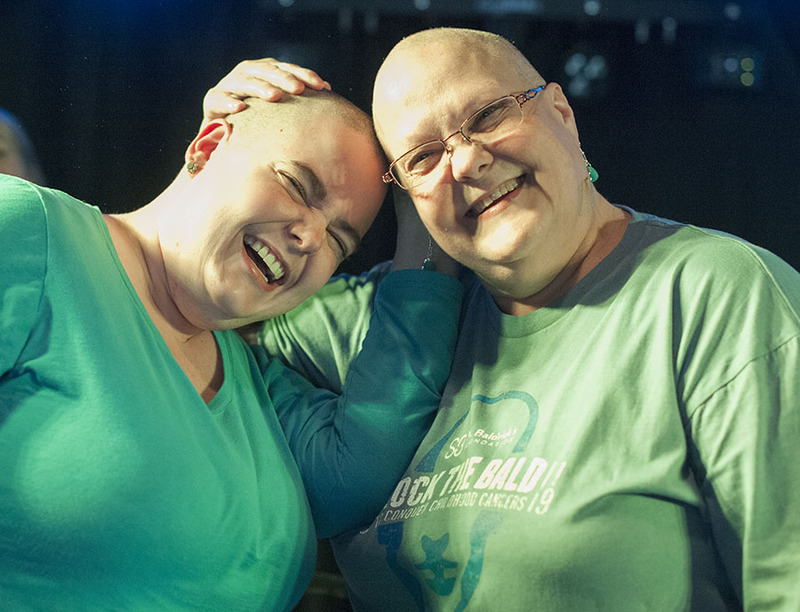 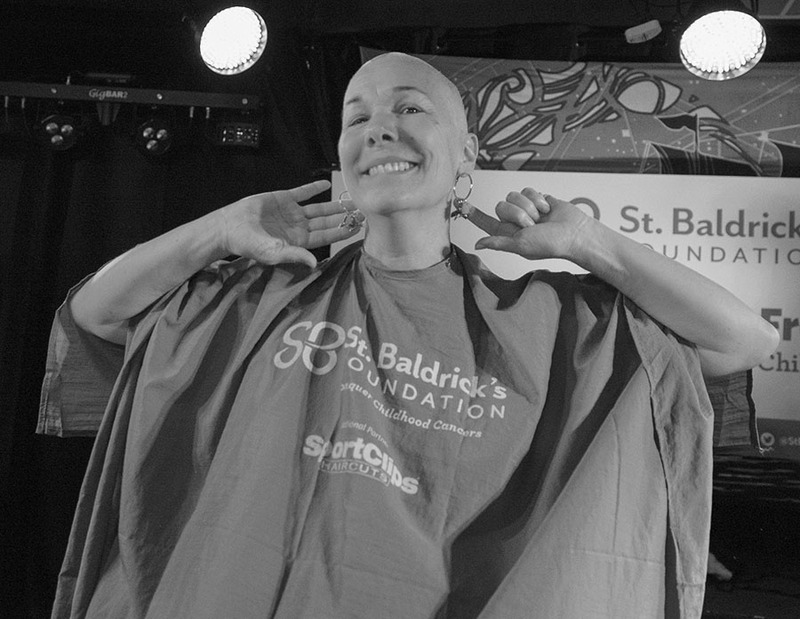 Daughter Elaine had shaved her head before for St Baldrick’s roughly a decade ago, but this time she was coerced into embracing a bald look by her mom. 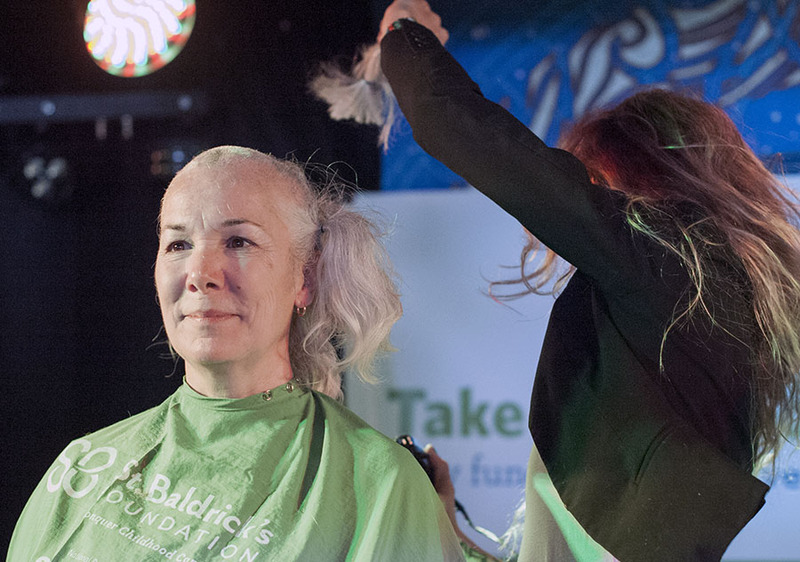 “[Elaine] said that if I hit $750 in donations, she’d do it too, so this is a two-for-one deal,” said mom Jenny. 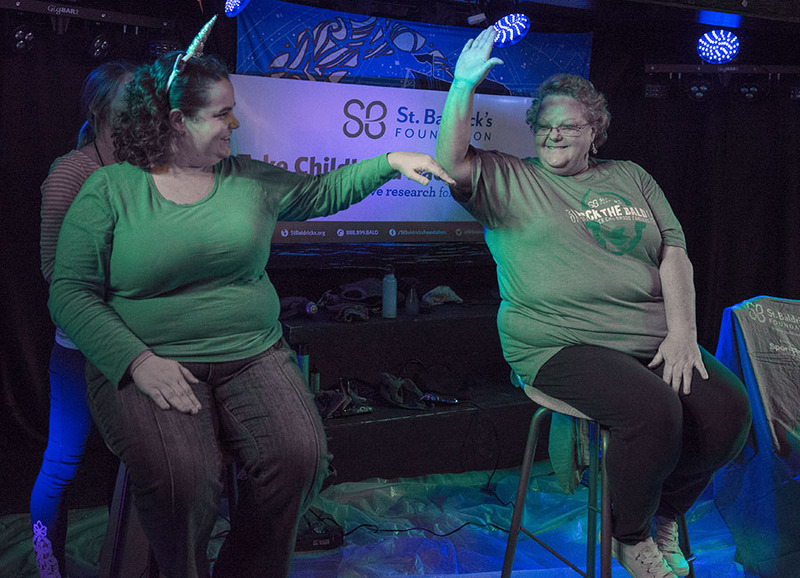 “Yes, I opened my big mouth, and here I am,” said her daughter. 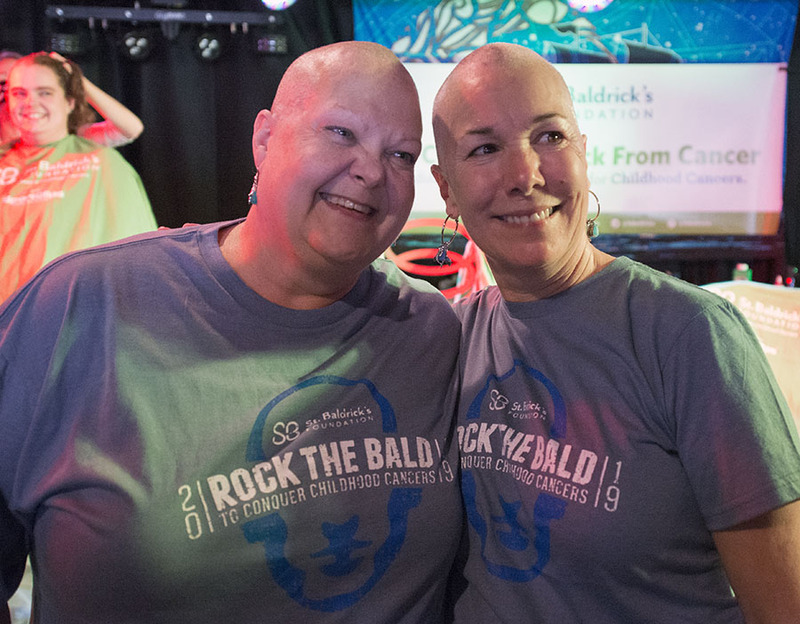 After the close shave, Jenny and Elaine posed for grinning pictures, while Jenny noted how much money she would save on hair products in the immediate future. 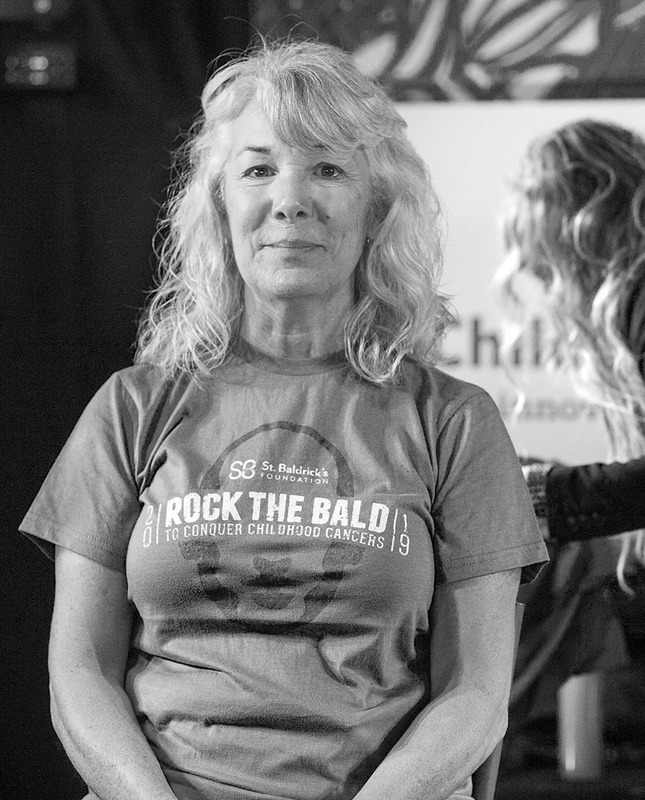 “I shampooed my hair this morning, and put the shampoo bottle high on the shelf afterwards and said ‘I won’t need this for a while,’” she said. 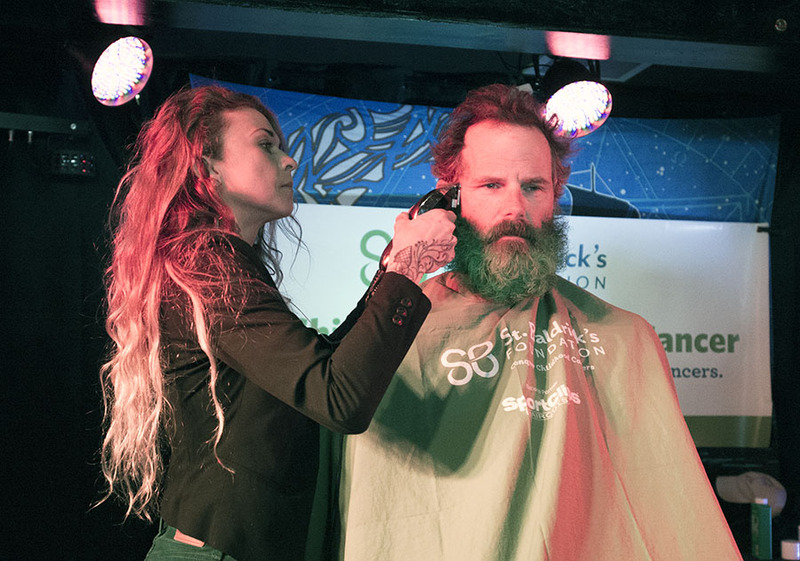 The event also attracted plenty of local regulars who jokingly refer to the event as their “annual haircut.” Longtime shavee Richard Augustson, who came decked out in a bright green beard for the occasion, had been growing his hair since Thanksgiving, and was grateful for the clean slate. 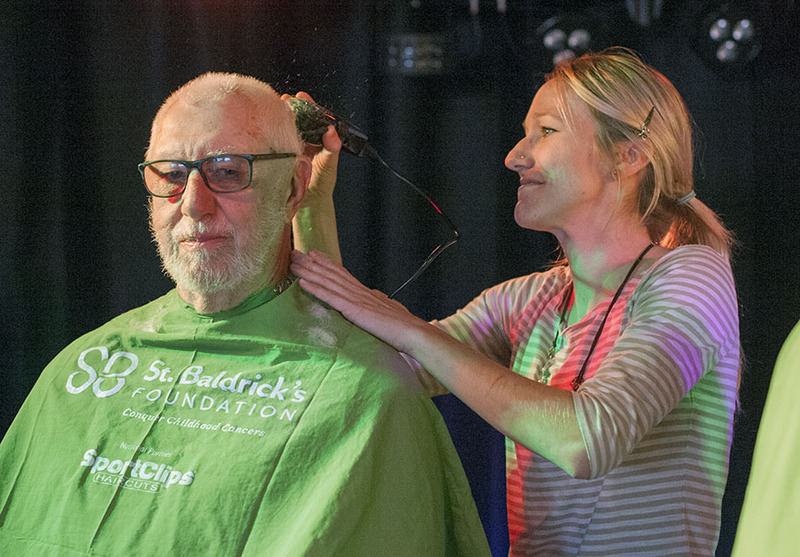 Turner’s was decked out in St. Patrick’s Day color, and the site had ample room for the crowd of shavees and supporters as the festivities lingered well into the afternoon. 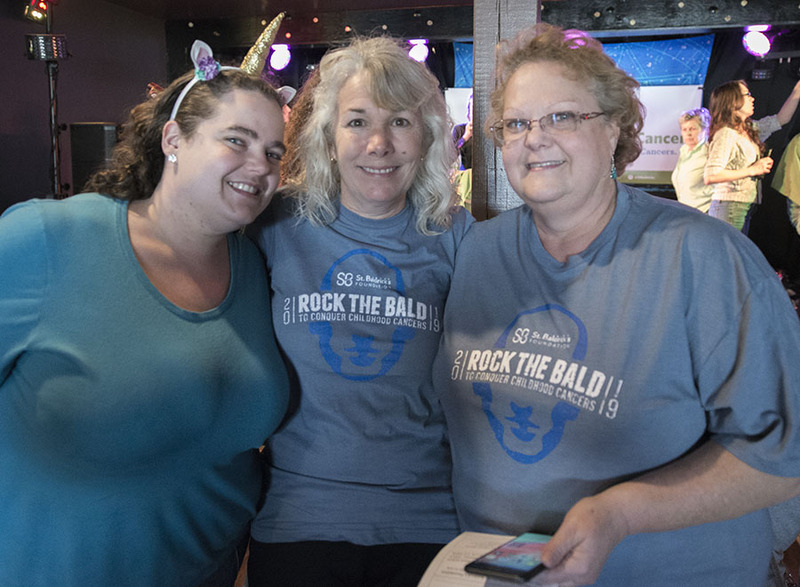 The event’s local roots technically began 16 years ago, when Tina Chandler and her daughter, Maddy, attended the Norfolk-based event while her daughter was undergoing chemotherapy. 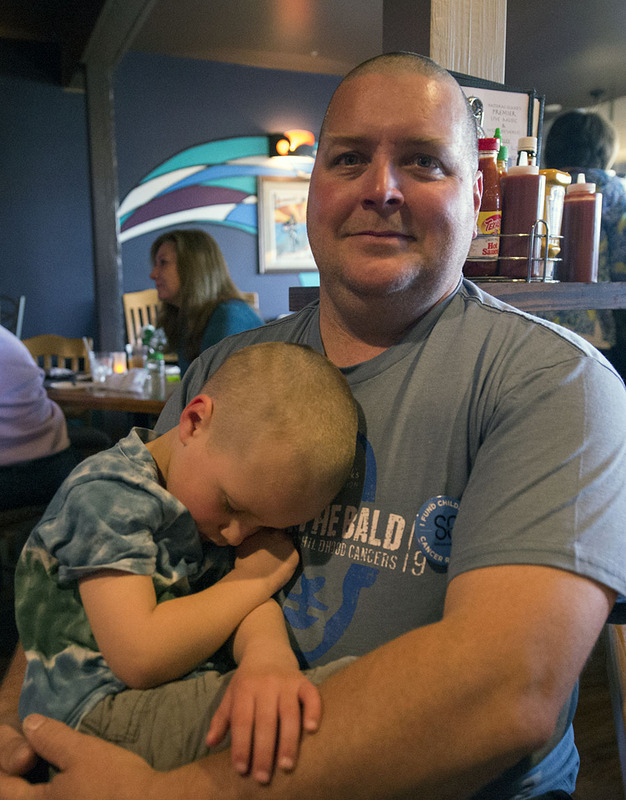 For several years afterwards, some Avon locals would make the drive up to Norfolk every March to participate, until they decided to simply stage their own event closer to home. 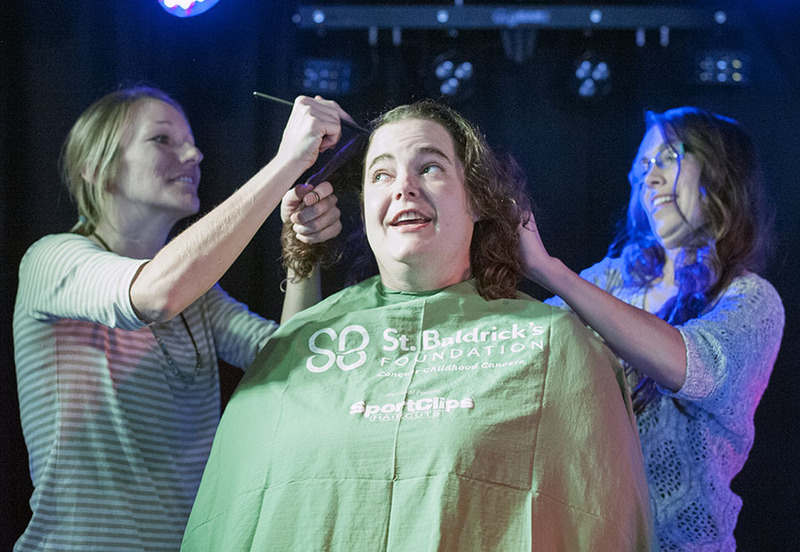 The first St. Baldrick’s in Avon was held at the Avon Surf Shop, with Chloe Sapecki as the event’s lone barber. 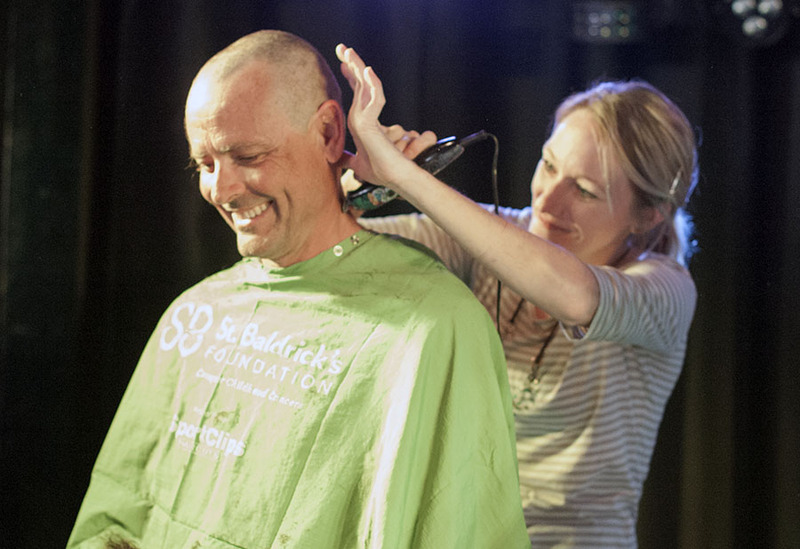 It eventually moved to the Avon Fire Station as more and more attendees signed up to have their heads shaved clean, and more recently, to its new home at Turner’s. 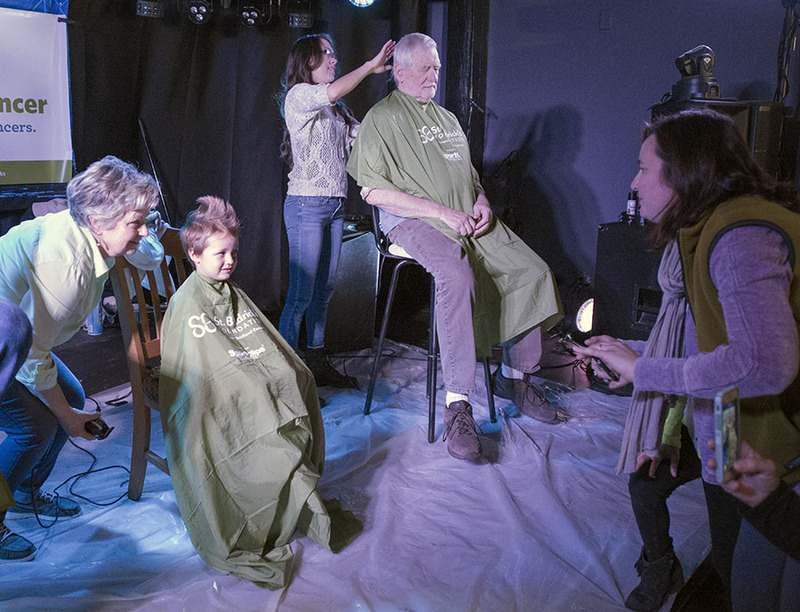 Organizer Jenn Augustson, who has been involved in Avon’s St Baldrick’s Day since it was established, said that 2019’s event more than doubled their goal of $3,000, making it one of the most successful shave-fests in years. 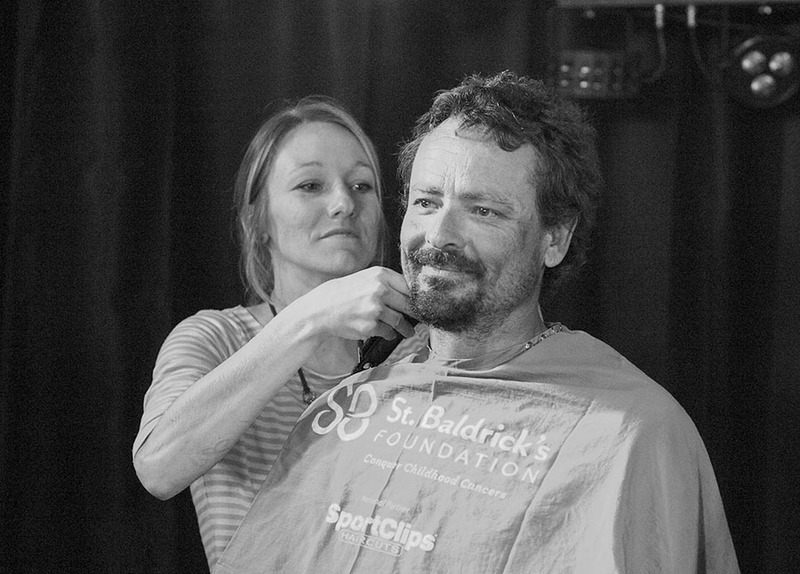 An extra $1,460 extra was made at the event itself from folks walking in with checks or cash, (as well as from sponsorships), and even curious lunch or dinner patrons joined in the spirit – like Seattle couple Merrick and Stephanie who are currently biking from Key West to Nova Scotia, and who stopped in for an impromptu haircut. 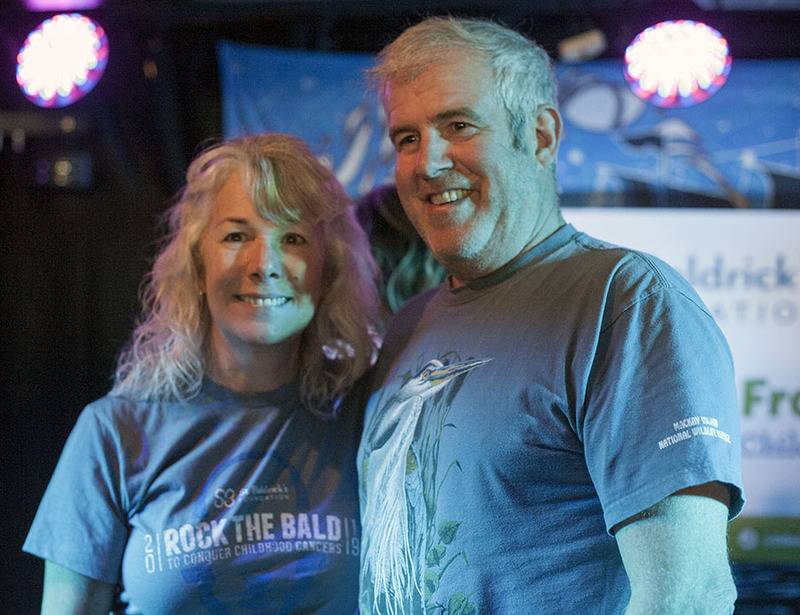 Needless to say, Hatteras Island will be a balder, more beautiful place to be in the weeks to come, as chrome domes have a moment as the new trend in island hairstyles – for apparently both men and women. 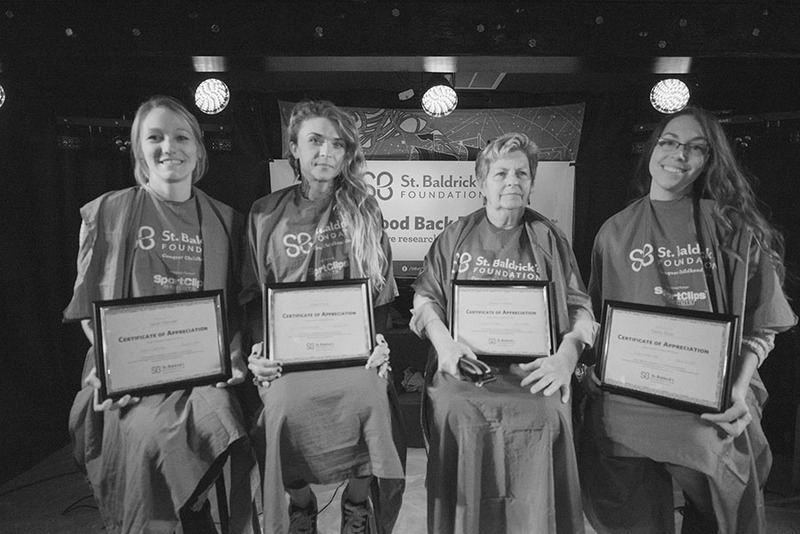 Multiple people commented on how lovely the ladies looked with their new do’s, (or lack thereof), and considering their casual and generous attitudes before and after the cut, it’s a safe bet that their bravery – as well as the bravery of all of the shavees at St’ Baldrick’s – will inspire more participants in the years to come. 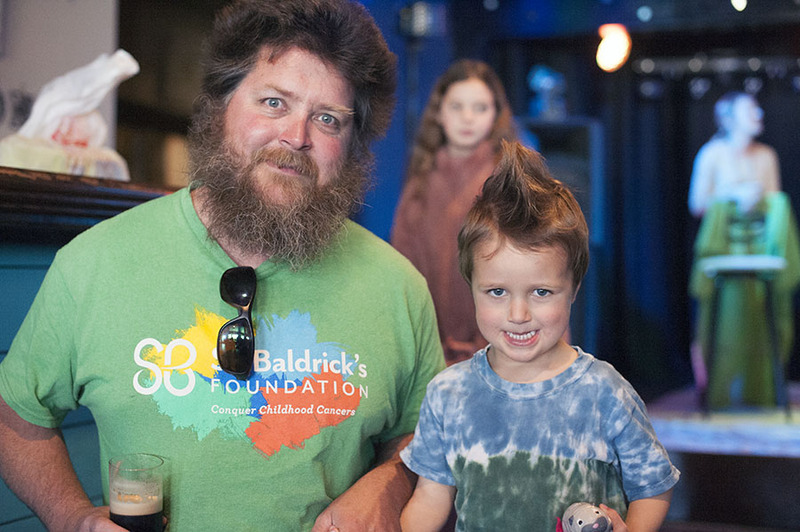 The St. Baldrick’s Fundraiser is still accepting donations for folks who missed the 2019. 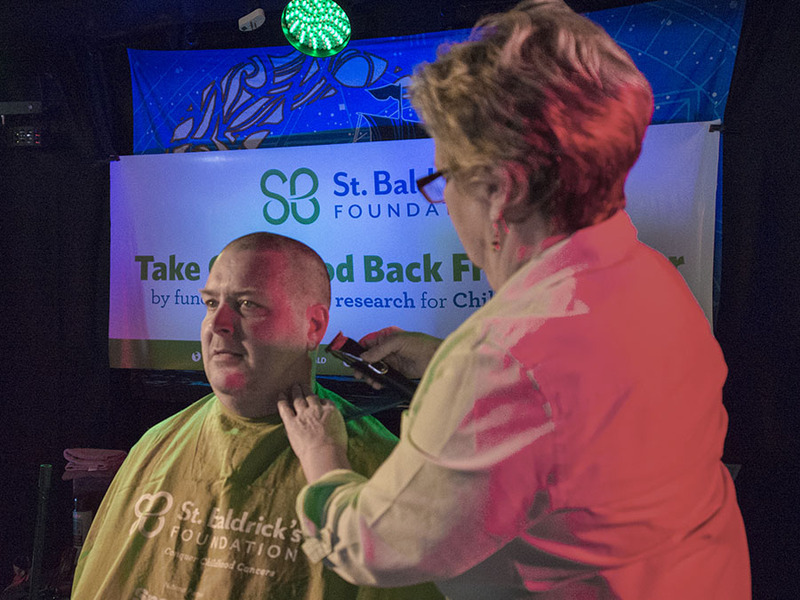 Visit https://www.stbaldricks.org/events/Avon2019 to help push the total amount of donations to $7,000, and well past the goal.